Overview: After a major remake last year, 2016 is the second year of the sixth-generation Ford Mustang. Upgrades include interior and exterior detailing; leaps in technology, electronic controls for steering, throttle, transmission and stability; plus five-star safety ratings in all NHTSA tests. There are a number of powerplants available but our test vehicle featured the 5-liter V8. A 6-speed manual transmission is standard. A paddle-shifted 6-speed automatic is optional. The redesign delivers mostly cosmetic changes — new wheels and hood striping, along with new packaging — like the California Special, Pony and Black Accent packages. 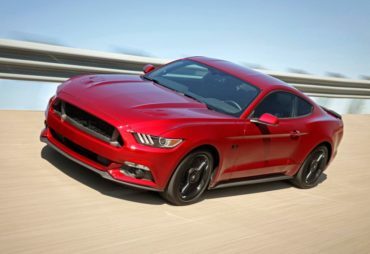 However, visually, it’s unmistakably a Mustang, with muscular, graceful lines showcasing the low, wide stance, and fastback lines à la the ’60s-era Boss 302. Interior: The cabin offers superior ergonomics and more space than the Camaro, with aircraft-type knobs and switches, plus optional Recaro seats. Instrumentation is large, deep and easily readable. The rear seats are useless, and the trunk isn’t all that big. But there’s ample room and comfort up front. While the interface is the same, this version of Ford’s new Sync 3 infotainment system finally works like it’s supposed to. Behind the Wheel: The redesign seriously improved steering, ride, handling and comfort to outclass the Camaro. 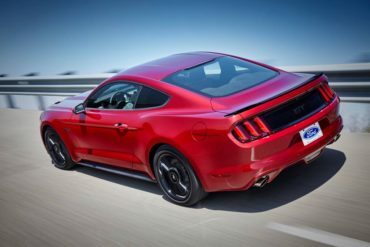 The 5-liter V8 delivers strong acceleration, while the ride is quieter and more comfortable than you’d expect from any muscle car. Bottom Line: The 2016 Mustang is a strong competitor in the high-performance market segment. It’s much improved, to the point it’s easily capable of being a daily driver. At just over $42,000, this pretty well-loaded pony isn’t a bad value either.